TRUFITNESS is your local source for personal training and fitness coaching. We offer Personal Training services to our members, backed by skilled trainers who are certified and recognized for their ability to teach, motivate and inspire. Our Personal Training program provdies you with individualized attention, leading to faster results. Throughout your personal journey, we will refine your programming as your abilities develop and your fitness improves. Even though our clients are many, we strive to maintain a strong connection with each and every client so that we never lose sight of your journey and our part in it. Please help us welcome our new trainer, Tyler! We have a full range of training options, including personal training, buddy training and small group training. We have an active training program at our Blue Ridge location, including small group options. And don't forget to check our Zumba class schedule as well! Come try a class, your first one is complimentary - and all classes are included in a paid membership. Our ancestors were the ultimate primal athletes. Primal training was not about fitness gadgets, fads and false promises, but about developing the capacity to train for an untapped demand. The majority of the day was spent hunting, gathering, and most importantly MOVING. Intermittent bursts of high intensity exercise were combined with rest and recovery - fitness was not only a way of life, it was an essential part of survival. 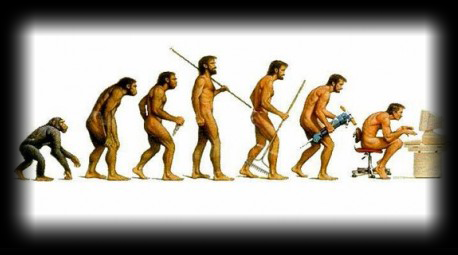 Fast forward to today's modern living and our bodies no longer have to move to survive. Much of what we do now is in a relaxed, seated position - driving, watching television, working in front of a computer. Each of these takes place sitting down. It's no surprise that the majority of clients come to us complaining of no energy, weight issues, or even that basic everyday movement is painful. Our bodies have simply forgotten how to move. Imagine the following scenario. If the tires on your car were burst, would you continue to drive your car knowing that you were risking further damage to your vehicle? No, you would work to get the problem fixed rather than risk doing further and more costly damage. Your body is no different. If you are carrying more weight than you should, have muscular imbalances or never exercise, you might be putting yourself at risk of injury or medical issues. When you start personal training with us, we focus on form, effective technique and education to ensure that you move efficiently. We guarantee you will enjoy a constantly changing, fun and challenging fitness experience that evolves as your level of fitness improves. Train with a friend or family member and share the fun! You’ll discover that our small group training is motivating and rewarding. Enjoy the camaraderie of group fitness that provides accountability and additional support. 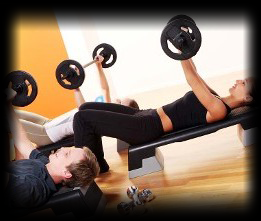 Small group fitness also reduces the individual cost of personal training. A comprehensive fitness plan includes five 30-minute sessions with a trainer. These sessions will be used to assess your fitness level and physical capabilities, as well as to determine the type of skill training and exercises that will be part of your fitness plan. We also help you define achievable goals within a reasonable timeline. This is a systemic therapeutic process of identifying musculoskeletal dysfunction and muscular imbalances that can be the root cause of injuries, slow recovery, and unexplained pain associated with daily activities. Young athletes need to learn the importance of flexibility, balance, and alignment as strength and conditioning needs become increasingly demanding. College and professional teams use these therapies to treat injuries, and to correct imbalances in order to avoid future injury of their athletes. For top youth athletic performance, we focus on speed and agility to improve the quick-twitch muscles needed for explosive performance. Workouts include sprints, lateral movements, footwork drills, hand and eye coordination, and flexibility drills. Contact us in Blue Ridge or Ball Ground to schedule your complimentary fitness assessment.